An intensely focused lyrical riff on guilt and desire. Having ended her relationship with a man she loved because he would make an unsuitable father, lonely 36-year-old Eira works at a London museum where she fantasizes about her happily married boss, whose wife is trying to conceive. When Eira finds an abandoned infant on the museum steps, she turns the child in at a health clinic. But the discovery has wound up her biological clock. At the same time, Eira finds herself returning to memories of the pivotal summer when she was ten and vacationing at the farm of elderly Aunt Maggie and Uncle Huw (who were going through their own romantic rough patch). When Eira arrived with her little brother, Eira’s adored older, half-Indian half-sister Phyllis was already there, supposedly recovering from anorexia. Eira soon caught on that Phyllis, 17, was dating a local boy to cover up her serious affair with Edward, a 22-year-old boarder at the farm. Eventually, Eira realized that Phyllis was secretly pregnant, and helped with the birth. The infant was stillborn. Edward died in a car crash soon after. Bereft, Phyllis gradually starved herself, dying when Eira was herself 17. As a grown woman, Eira still blames herself for misleading Edward about Phyllis’s feelings, causing his death and thus her sister’s. 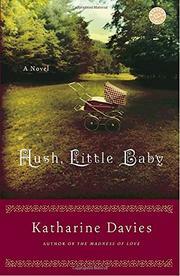 Because the adult Eira is described in third-person past while the childhood memories are recounted in first-person present, the novel’s back-and-forth between then and now takes some adjustment, as does the dreamy narrative voice with its affection for moth motifs, but Davies (The Madness of Love, 2005) shows tantalizing glimpses of humor and gritty reality as she pulls together multiple love triangles.